I just finished An Architectural Approach to Level Design and I was really pleased with it as a whole! It does a really good job of looking at architectural principles in a way that the lessons from them can be applied to many different types of game spaces (2D, 3D, all different cameras). The chapter on space as it’s related to survival instincts was great, as it gave form and reasoning behind a lot of things that I tend to intuit based on feel when designing levels. 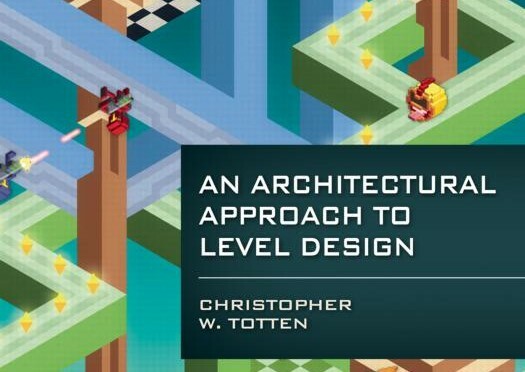 I think a lot of people can easily make a surface comparison between architecture and level design, but this book really connects them to a degree that I actually find useful in practice (for example, I really enjoyed the comparison between city planning successes and failures and multiplayer hubs, and how you can find similar principles at play in an MMORPG city and a team deathmatch shooter map). Anyway, great stuff! Check it out!